I know so little about what's going on inside my body except for what the doctors tell me. Recently I had to get a blood test to check my thyroid levels because I have hypothyroidism. I've been getting this check done two times a year for 15 years so it is routine at this point. This checkup, however, was different. This was the first time that I was getting my blood drawn in Japan and this was the first time that I received a digital report with my blood results. I went in to see my doctor to go over the results and get a new prescription. He said that things looked fine and that I could continue on the same dose that I've been on since I first found out that I have a thyroid issue. When I got home I decided to look over the results myself. When I reviewed the report I realized that in addition to the levels of T3 and T4 that are checked for thyroid health, there was a whole slew of other data. I gave my knuckles a good crack and logged into the the DNA testing service, 23andme. There is a section on the site where you can enter in raw results from blood tests so I did just that. As I entered in the data, I learned whether the levels were normal or not. I trust that that information will become useful in the future as they answer questions that their customers want to know, like, is coffee good for me. The news is constantly reporting on the health benefits or dangers of coffee, wine, salt, what kind of diet you should be on, and whatever other clickbait they can use. The truth is, that's terrible advice to pay attention to because that kind of information should be personalized to the individual based on their DNA and their lifestyle. I'd like to lose 10 pounds and so I'm researching the optimum diet and fitness regime for me that isn't a quick fix but rather a long term strategy. I was perusing around 23andme and another DNA testing service called FitnessGenes to figure out a diet plan, when a data point about coffee caught my attention. 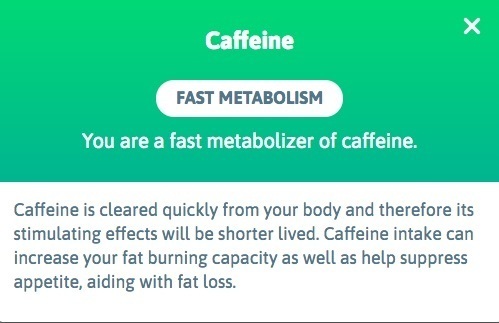 Both DNA services, 23andme and FitnessGenes, confirmed that I am a fast metabolizer of coffee and I am more likely to consume more of it. I track all of my food using the app Lose It! 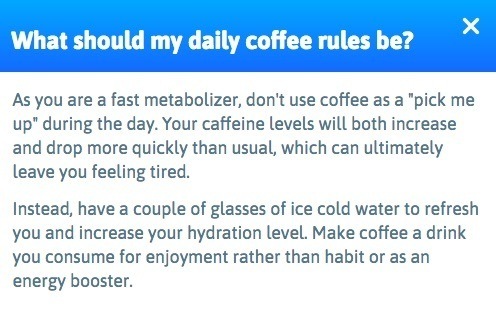 and separately it suggested that when I drink coffee I consume less calories. 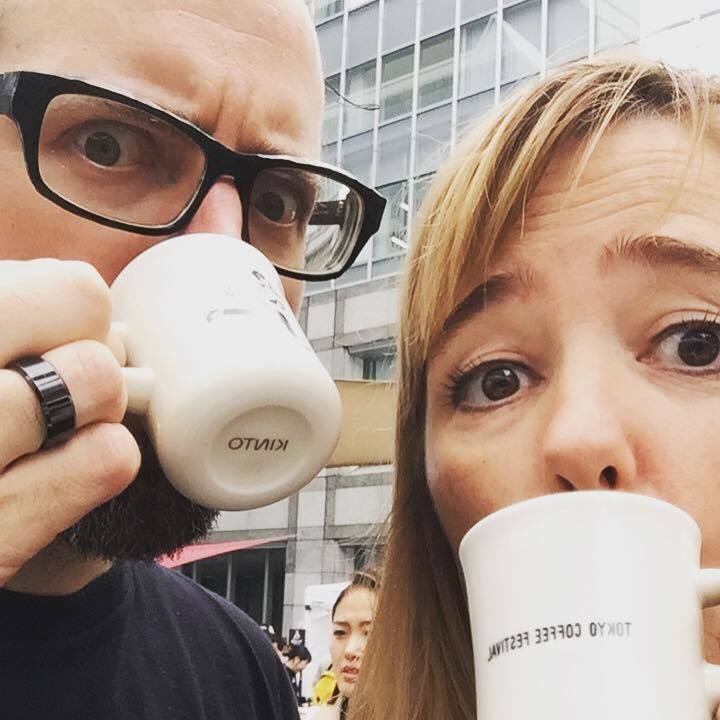 Both my DNA and my eating habits confirm that drinking coffee can aid me in losing weight. That's just one data point, there are other factors that contribute to weight loss and gain. For example, I know that when I don't get enough sleep or have a lot of stress, I don't eat as well and then I usually gain weight. As I gather more data I'll be adding it to Tara's Strategy For Optimum Health. These are the apps that I use and I'll continue sharing updates as I progress with the learnings. Let me know what kind of health data that you are collecting and if you were surprised by any of the results.